Thanks for taking the time to stop by and check out the website. Here you’ll find different avenues to bring you closer to the Firearms Nation. Whether you are interested in competitive shooting or just brushing up on your tactical skills, I’m giving you the tools to make you a safe and skilled shooter. I enjoy shooting firearms, and if you are here, so do you. I’m not a gun collector. There are several website options if you are looking for pictures of WWII guns. However, if I can find one, shoot and review it, I will post it here. Check back daily to see the new posts. Some might be written but most will be videos. I feel if you can tell someone something visually, the message is easily explained. This year (2017) Firearms Nation is launching a new podcast called…The Firearms Nation Podcast! I want to get into the minds of the people who shape the Firearms Nation, from trainers, shooters, journalists and gun makers, each has a unique story that I’m going to share. You can even listen directly from this website. Be sure to sign up for weekly email updates on what is going on with the Firearms Nation as well as exclusive opportunities only available to subscribers. 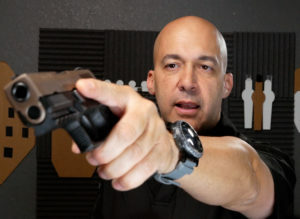 Plus for signing up you can download my free ebook, “Five Steps to An Awesome Firearms Training Program”. This exact program got me on my way to winning matches and rising the ranks in competitive shooting. Learn more wisdom from instructors such as Bennie Cooley, Steve Anderson, Bruce Gray, Ben Stoeger and more! 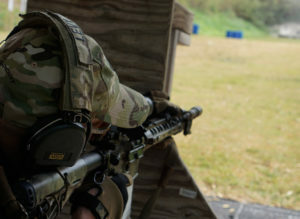 Visit the Shooter’s Summit (shooterssummit.com) to watch the videos and connect with them. Follow FN on Facebook, Instagram or Twitter and get your dose of the Firearms world.